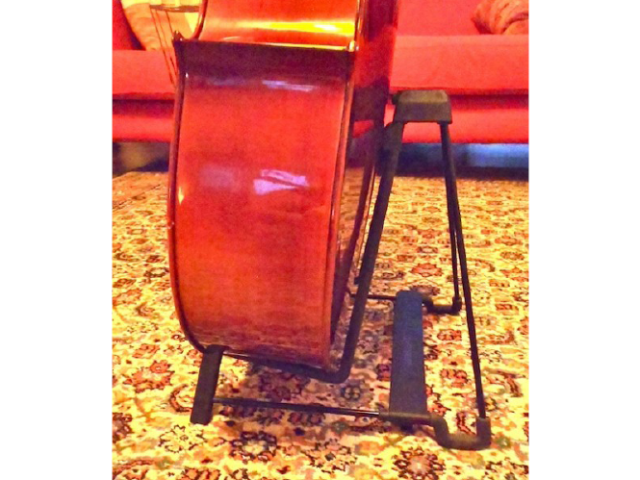 Guitar stands are a perfect gift for guitarists, but this one is even more useful because it’s a stand for cellists and French horn players too. Made by K & M Heli, it is a quality item at a fantastic price. The video below will tell you more about the product. I can tell you that I love them! 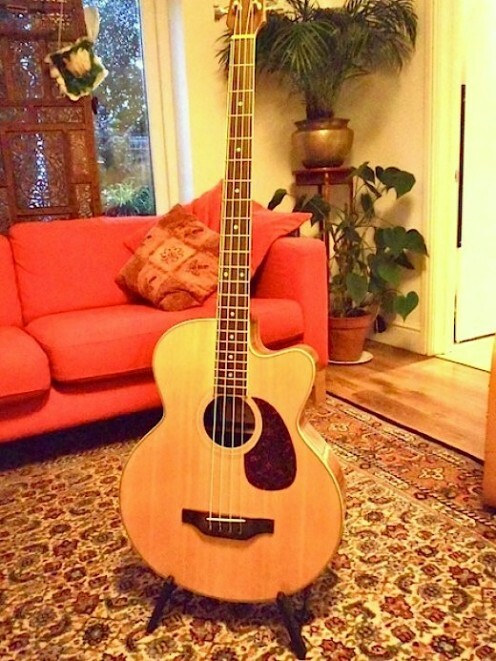 We are the proud owners of 7 guitars and a full sized cello, which is wonderful, apart from the fact that we live in a small house! Our instruments have been so spoiled because they used to sit on the settee and armchairs while we sat on the floor! Do you know someone in a similar situation? Or is that person is you? 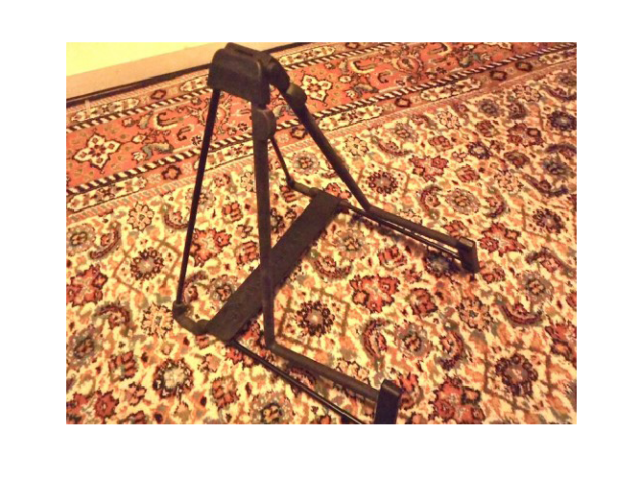 I am very happy to tell you that I have found the perfect solution with these amazingly versatile and very useful guitar stands. I actually needed 4 of them so they couldn’t be expensive! But because my instruments cost the earth I also needed to find something that would keep them safe. `Also it had to be portable. 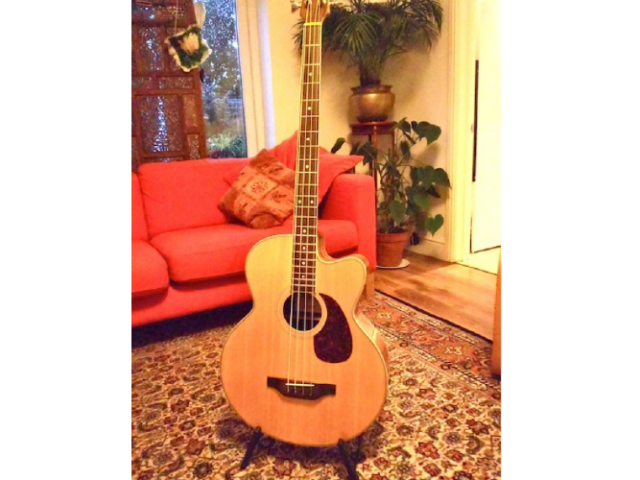 After a great deal of research I chose this one in the hope that would suit our cello as well as our bass, acoustic and electric guitars. I was in luck because it holds them all. It was advertised as specially designed for acoustic and headless guitars, cellos and French horns. So I thought I’d buy one and see how things went. These guitar stands are made by the top quality company Konig & Meyer who are specialists in designing products for musicians on the move. They have an excellent reputation. it is sturdy because it is made of a very strong metal. it is covered with an exclusive non-marring material that is a tough rubber coating. This certainly does protect instruments from getting scratched and will last for years. the adjustable parts, such as the hinges and strap, are made of very tough durable rubber. they come with a 5-year manufacturer guarantee. the stand has rubber feet so it won’t slip on any floor surface. 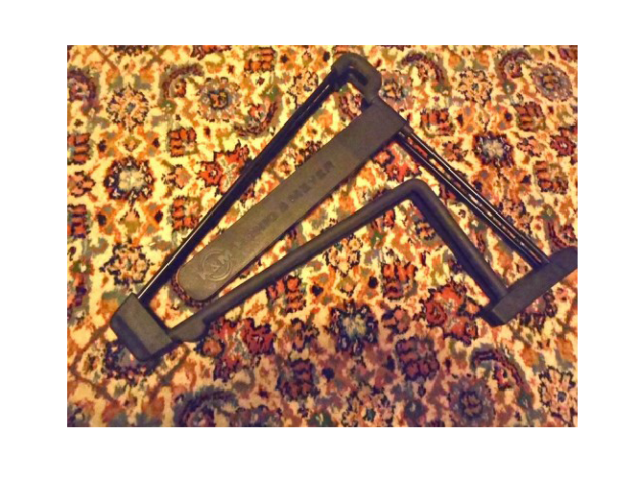 it is easily adjustable in width to fit your instrument perfectly. 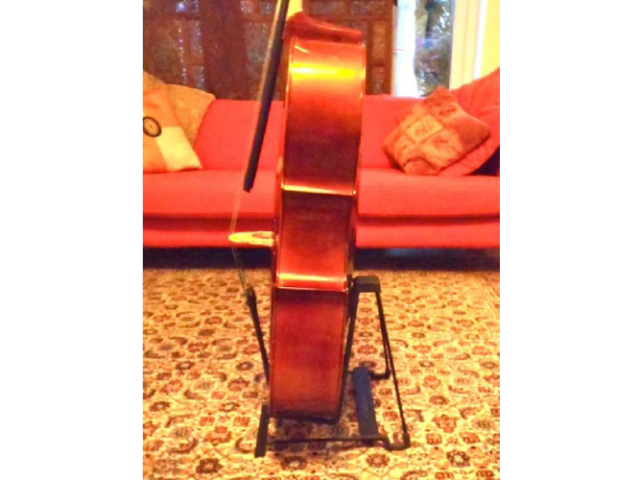 they are designed to fold flat for easy traveling, they are not light, but neither are they very heavy – we take one with us when we need to move the cello without any difficulties. they are available in 4 colours. Stand Specifications: Width: 1.0 kg – Height: 340 mm. 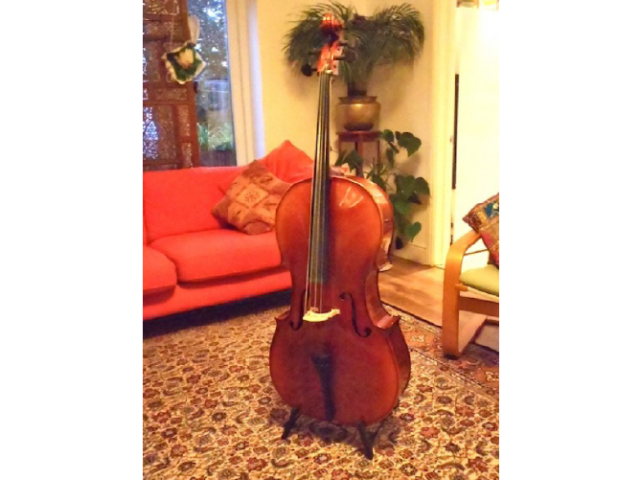 Now all our instruments are secure and I am particularly delighted that our cello is as snug as a bug in a rug! We are absolutely delighted with this product and so far have bought three of them. They are great value for money and will last us for a long time to come. It’s very nice to be back on the settee at last! This man is very good at describing this amazing product. You’ll see what I mean about quality. I Also Hang Them on my Walls! Since writing this product review I have decided that I need more floor space! The instruments seem to be reproducing like the bucket carrying brooms in Disney’s Fantasia! Sometimes they remind me of the Daleks in Doctor Who too. I really don’t have a big house! I have therefore decided to hang a few of them on my son’s bedroom wall. And I have bought the following wall clamps. They work extremely well, you just screw them onto the wall and the guitar will stay put. They come with screws and anchors. And they are very reasonably priced. My son loves them he says they make his room look cool! Would you find this stand useful or do you know somebody who would? Please leave a comment. Thanks very much indeed for your visit.